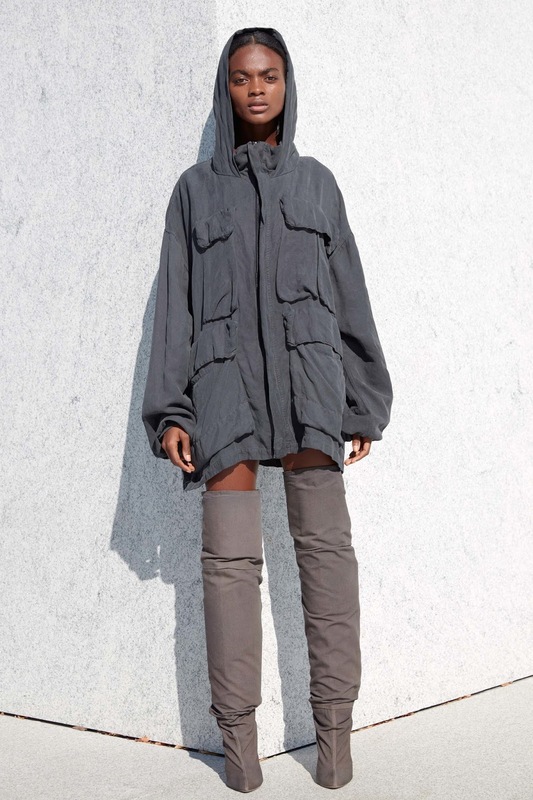 It was only recently that Kim Kardashian West gave us a preview of her husband's Yeezy Season 4 collection when she was photographed in New York only a few days before the show, in a pair of thigh-high transparent pair of perplex boots. They certainly got us talking. 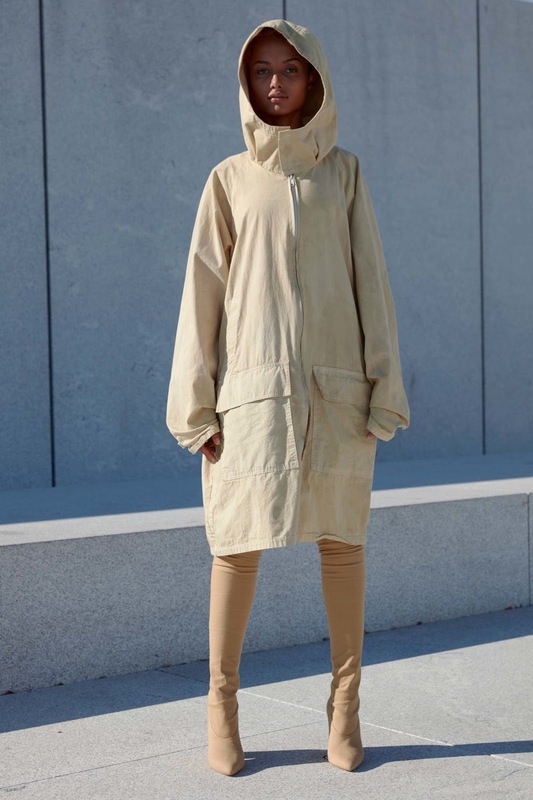 Of course, no one was to know they were Yeezy but with the style that Kanye likes to transfer across to each season, we definitely had an idea. 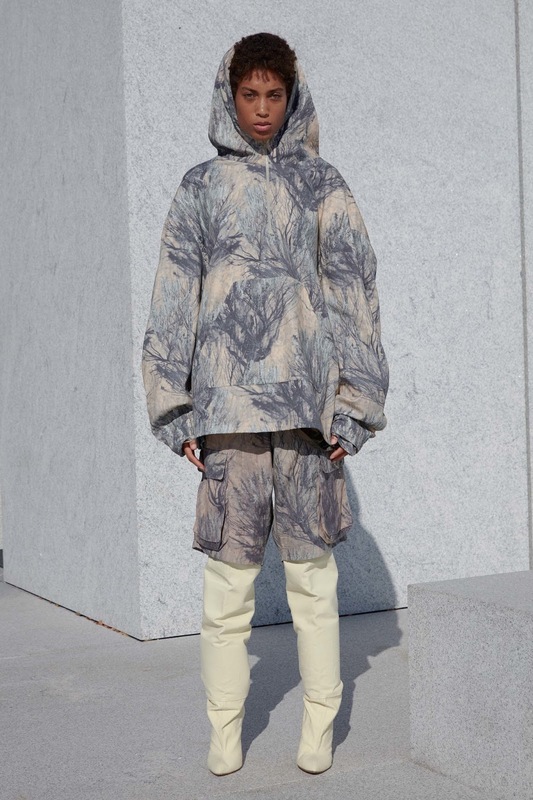 Kanye held his show at the Franklin D. Roosevelt Four Freedoms Park as a kick-off to New York Fashion Week. The guests were said to have waited for a couple of hours after their arrival, in staggering heat before the show started. 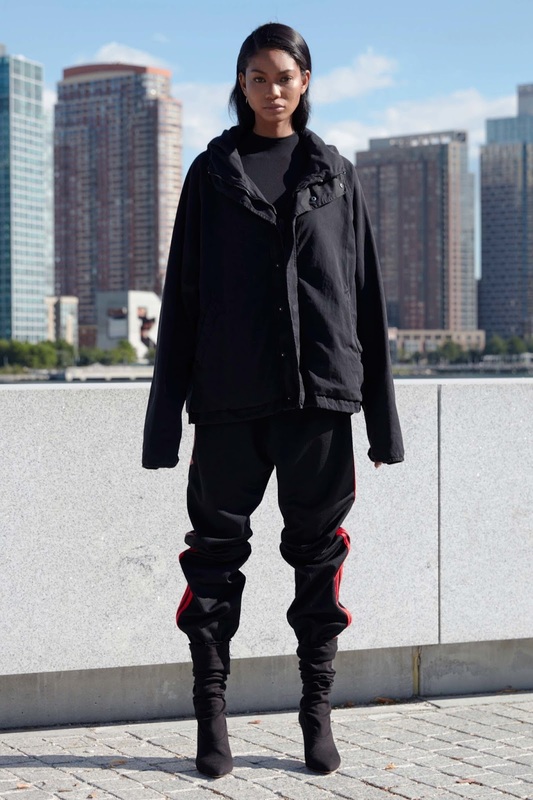 A part of Kanye's anticipation build up? who knows. It was only when the Kardashians/Jenners arrived that the show only took another 20 minutes to start. The official start time was 3pm, but ended up starting at 4.30pm. A while to wait in staggering heat. 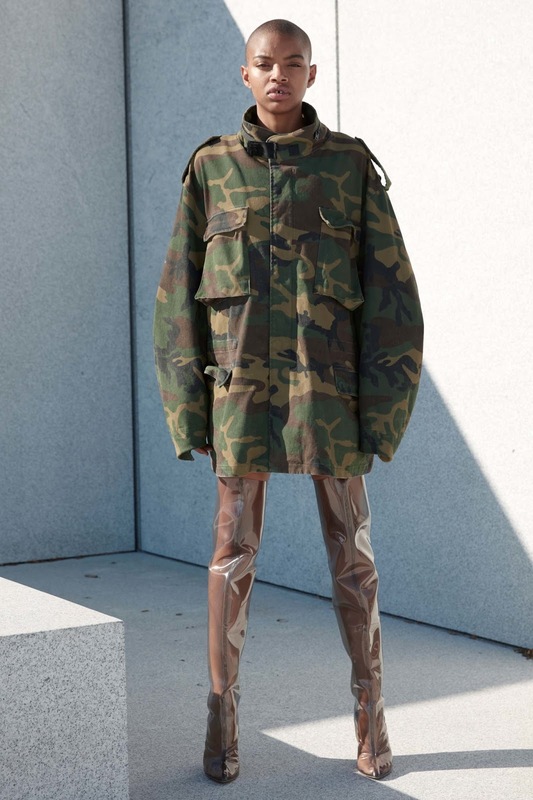 However, looking at the show, the atmosphere and the collection - I know I personally wouldn't have had any complaints. 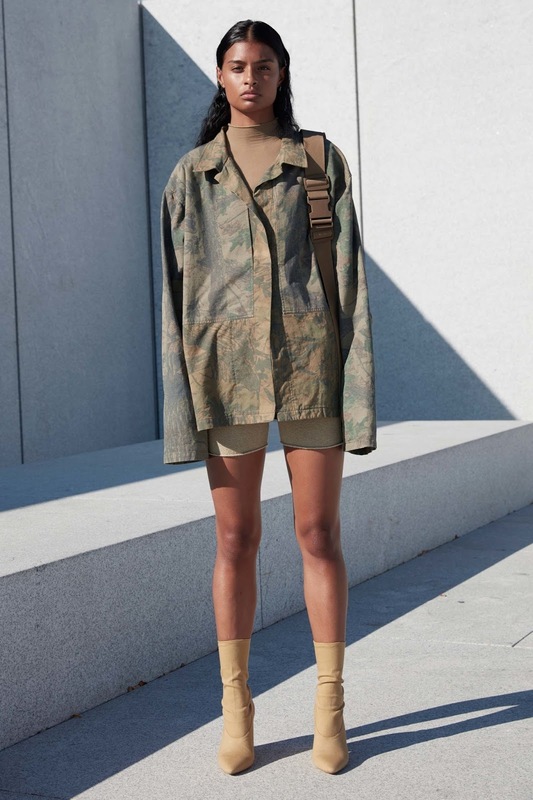 The athlesiure theme of Kanye's brand was in full swing again - with body suits, flesh-toned bras and boyfriend shorts. 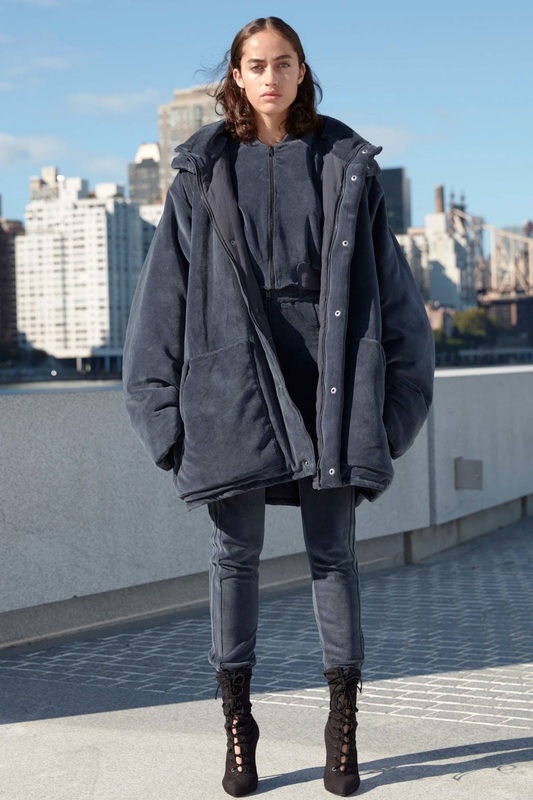 Kanye's brand has tended to be very consistent in the pieces that he includes in his shows as well as the styles, shapes and colour. 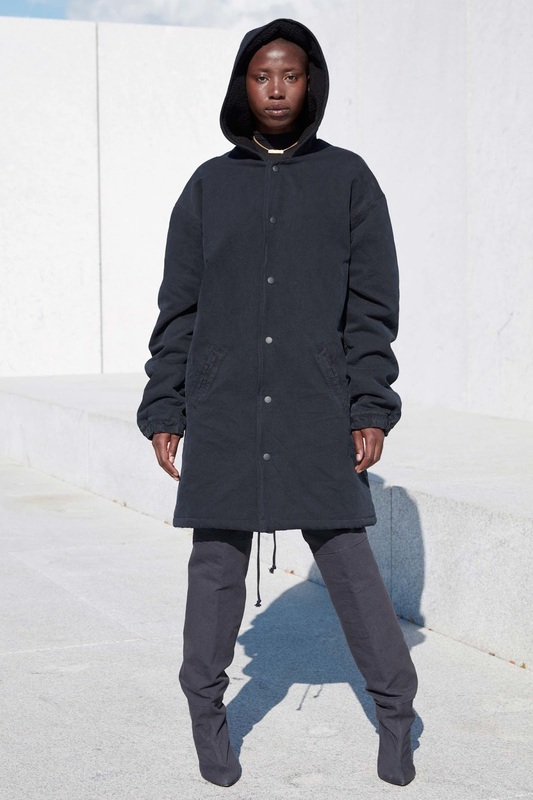 He did tend to go for a different colour scheme this season but over-sized parkas, sock-fitted boots, basic pieces and of course, his famous Yeezy boosts all made an appearance. 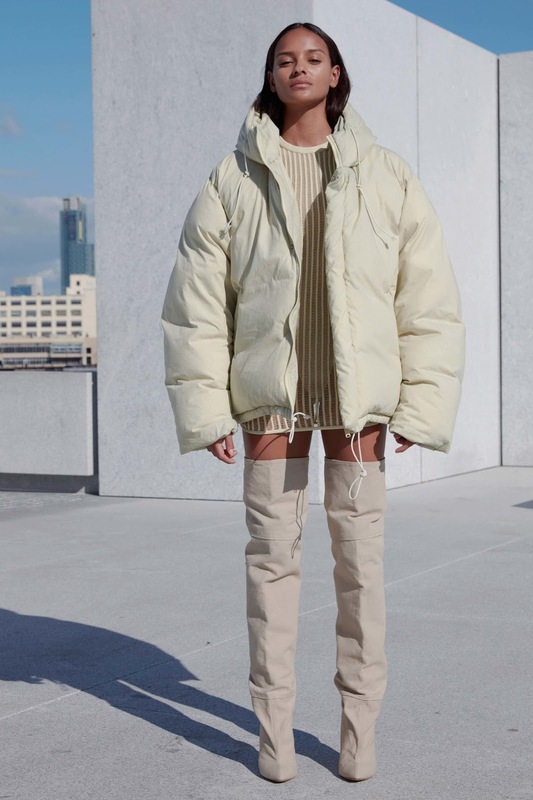 Sofia Richie's shearling lined oversized coat was a highlight for me teamed with those knee-high boots. I loved it. 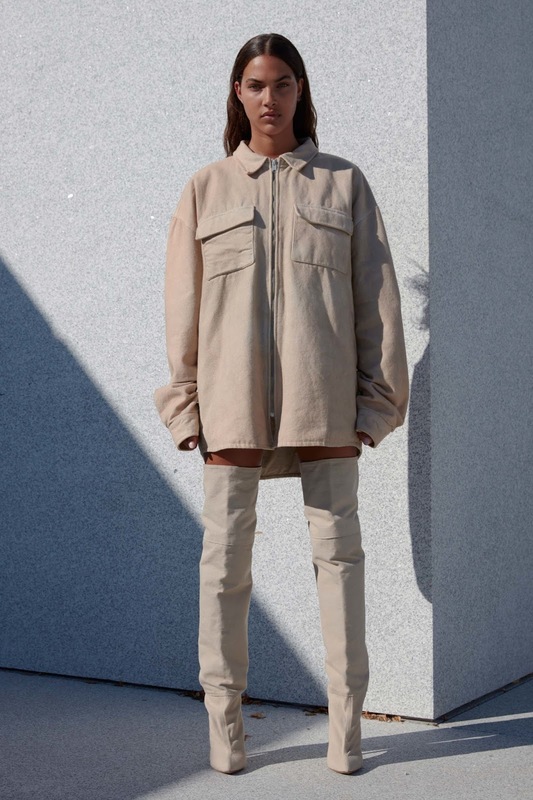 The over-the-knee boots she was wearing, featured predominately in paper white, were definitely a statement piece this collection, which I can definitely see Kim wearing in these upcoming months. 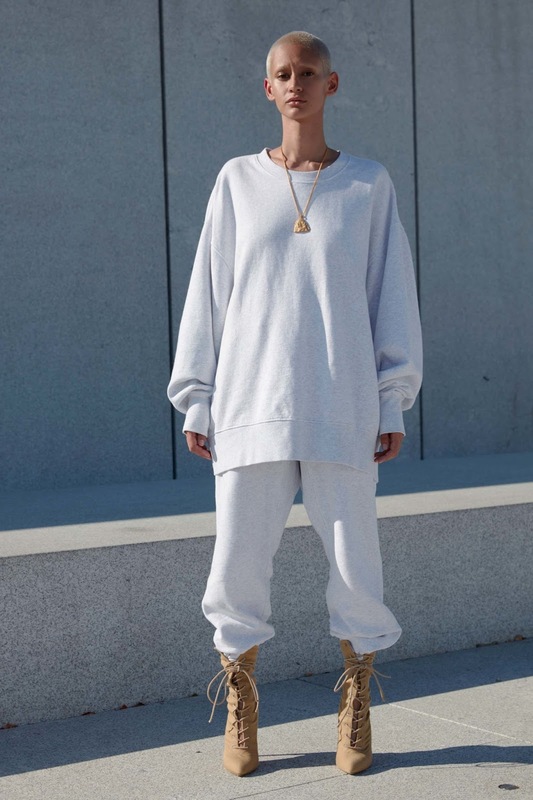 After all, Kanye does love a statement, and he has executed this to a T.